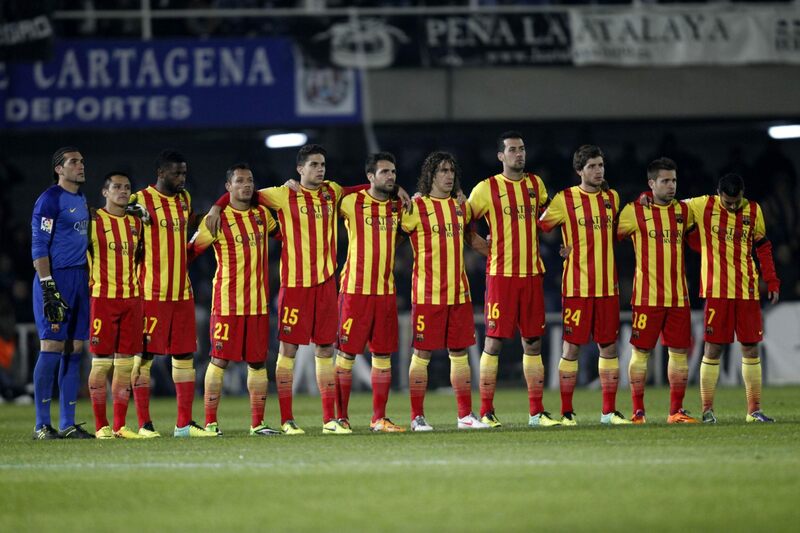 Barcelona line-up: Pinto, Jordi Alba, Puyol, Bartra, Adriano, Busquets, Sergi Roberto, Song, Pedro, Fabregas, Alexis Sanchez. Coming off two straight losses necessarily added an extra pressure factor to Barcelona, ahead of their trip to Murcia to face Cartagena for the 1st leg of the Copa del Rey. Moreover, neither Lionel Messi nor Neymar were available to give their contribution to the team. It seemed as if all was about to fall even further when the hosts got the first goal, still inside the first quarter of an hour. Fernando caught Barça‘s centre defenders Puyol and Bartra sleeping and punished them on a quick counter. Tato Martino‘s men managed to react just a few minutes later though and restored the tie in the 36th minute, through a great Cesc Fabregas pass to Pedro, who then raced without opposition towards Cartagena goal to finish it off and make the 1-1 in Murcia. The 1-3 came in the 75th minute, through an attacking play led by Alexis Sánchez, who found Pedro with a nice pass to allow the Asturian to get his second of the night. The final blow was given right at the end of the game, and it was Dongou who added his name to the scoresheet this time. The Cameroon forward made the best out of a rebound that landing on his feet after a Pedrito shot that slammed into the post, and easily scored his first goal for Barça‘s first team. 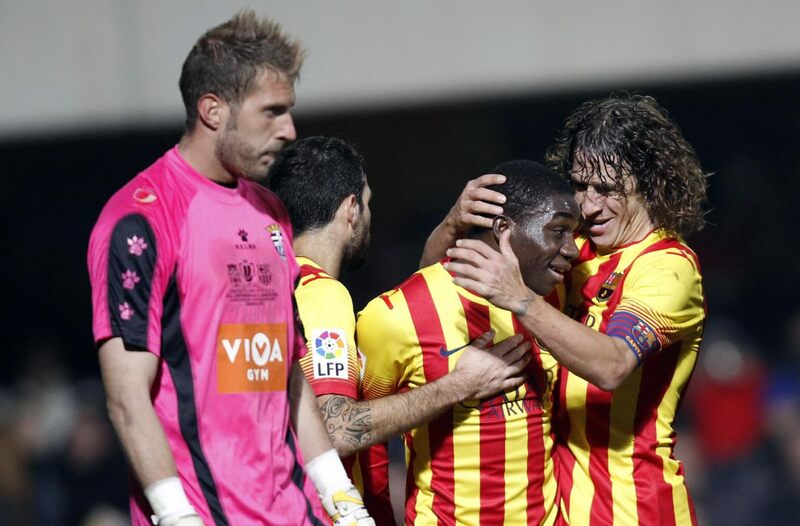 Barcelona and Cartagena will meet again on December 17, for the 2nd leg of the Copa del Rey last-32 stage.